The authors describe 42 on-the-job events or situations – case studies taken from their own work experience and from which they gained invaluable insights into a wealth of best practices in maintenance and reliability. In many instances they did not know the underlying academic theories that would have applied. They found solutions often more by intuition and teamwork. The case studies are real, told by the people who were professionally and emotionally involved. The authors have resisted the temptation to offer a set of recipes for all occasions. Rather, the approach is all about "how we did it" rather than "how you must do it". Case study stories are a great way to communicate, and that is the medium the authors have adopted. 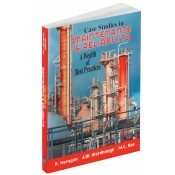 They've packed the book with common sense ideas on how to improve maintenance and reliability performance. Operations and maintenance technicians, supervisors, managers, planners, schedulers and support engineering teams, as well as designers and project managers will value these dynamic illustrations of real-life situations. Many will recognize similarities to their own work. Students will find the true case studies to be a refreshing change from the usual diet of books emphasizing theory. • Provides a logical organization with chapters grouped into six broad headings, enabling readers to choose the order in which they wish to absorb the lessons, which are based on the Shewhart-Deming Continuous Improvement cycle. • In addition to the Plan-Schedule-Execute-Analyze elements, the authors have added Leadership and People to complete the suite. • Each chapter has broadly similar sections, beginning with a Background to the events, going on to describe the key elements of the approach, and ending with Lessons and Principles. • Underlying theories, philosophies or even detailed descriptions of methods are stripped out of the main chapters and described in Appendices, so that only those readers who wish to delve into details may do so. • Contains a Book Summary which draws all the principles and lessons together, and gives references to the relevant chapters. • Copiously illustrated, with charts, diagrams and tables which relate closely to the text. V. Narayan is a leading authority on maintenance and reliability engineering. He is a graduate mechanical engineer from Pune University in India and has over 40 years of experience in maintenance and project management. He has worked in automotive, pharmaceutical, liquefied natural gas, oil & gas production and petroleum refining industries. In his long career he has trained, consulted and worked in many countries, including spending eight years as the head of the Maintenance Strategy Group at Shell UK Exploration and Production. He headed the Maintenance and Reliability Center of Excellence for Shell. At Shell, he developed refinery performance measurement methods in the 1990's that are still effectively used today. For the last 16 years, he has been teaching reliability engineering, maintenance management, reliability-centered maintenance and root cause analysis to engineers in the U.S., Europe, Middle East and Far East. He is an adviser to the Robert Gordon University in Aberdeen, on their Asset Management MSc program development. He has published many articles and presented papers at international conferences. His book Effective Maintenance Management - Risk and Reliability Strategies for Optimizing Performance is also published by Industrial Press. Jim Wardhaugh graduated from the University of Liverpool and is a Chartered Engineer. In a 30-year career at Shell he demonstrated success in many different roles, including projects, construction, maintenance, technical, inspection, warehousing, transport, quality and training in a number of different countries. Within Shell's Technical Head Office, he guided refineries worldwide on best maintenance practices and on "Computerized Management and Information Systems." He was a founding member of the Shell MERIT consultancy group. he is an external faculty member of Robert Gordon University, Aberdeen, for their MSc program in Asset Management. He provides consultancy services that target performance improvements, particularly in the fields of asset management, operations and maintenance. Mahen Das has a mechanical engineering degree from Benares University, India, and is a Chartered Mechanical Engineer. He retired from Shell International in 2002 after 42 years in optimization of maintenance and operational reliability of petroleum refineries and gas plants. His learning and experience has been drawn from hands-on work at all levels of process plant asset management at 40 sites in 22 countries. After working 32 years in the field, the last 10 years of his career were spent in transferring this learning to Shell as well as to third-party clients in the form of consultancy services. During this period he helped establish Shell's MERIT initiative. As a leader of MERIT, he visited and reviewed the business processes of more than 30 operating plants -- Shell's as well as third parties -- and helped achieve significant improvements in their maintenance and reliability performance. He is currently a freelance consultant.